Idea: Scheduler - Scheduled tasks finished successfully? We would like to introduce an idea. Working the Scheduler we would like to have an overview of all the tasks, the last scheduled run and if it was successful. Is there something available like that? Or could this be added to the wish list for future development? We are wondering if there is a solution of the situation stated above. Is there a workaround? 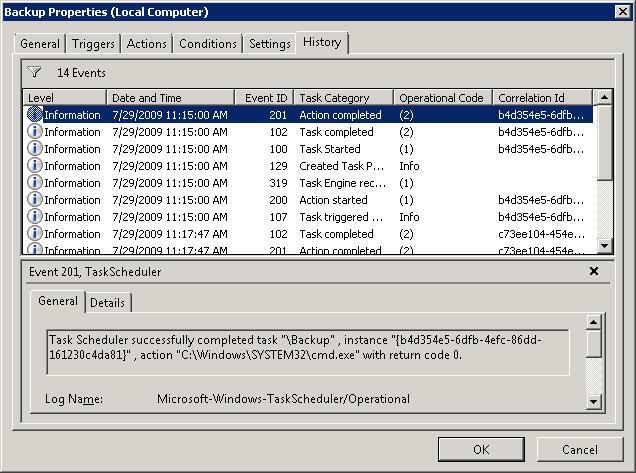 We've added a new log file of task events in CSV format which will allow you to maintain your own dashboard (e.g. in Omniscope Mobile itself). There is one aspect that I do miss in the overview. I do not see the tasks that are not started. Is there something like a task list that I can use to compare this "Checklist" with? This log is for task *events*. If a task does not start because it is not scheduled to, there are no events. If a task does not start because it is too late, there will be an error event. I was under the impression you would want to monitor the success state of tasks, rather than audit the configuration of task schedules. Maybe we can talk it through in a short skype call? This feature has been integrated into the next 2.9 Plus build (after b1625).